SISU Auto is presented at the show with our local dealer VV line. SISU Hybrid is designed to deliver maximum performance in daily tasks by added power and torque . What’s best, the SISU Hybrid offers all this and much more with lower fuel consumption and lower emissions. SISU Hybrid is a parallel hybrid system, meaning diesel and electric motors can operate separately or together. The electric motor gets its power from supercapacitors, so the additional power is automatically at disposal as soon as energy is charged to the capacitors. The system recognizes when additional electrical power is needed alongside the diesel engine and automatically deploys the electric motor. More power can also be manually deployed whenever necessary with the PowerTouch lever switch located on the gear lever. Capacitors enable fast energy storage and discharge. The electric charge is deployable without delay. This entry was posted in Polar Tuotteet on 21.3.2019 by Rasmus Rokka. The annual registration figure for Sisu Polar products in Finland, 122 vehicles, shows growth of 13% from the previous year. The increase in sales figures is even greater, resulting in record high order backlog and respectively raised production volumes for Sisu Polar truck products, giving a positive forecast for 2019. “Our investment in the product quality and product features respond well to the increasing transported volumes, strengthening our position in the most demanding transport tasks. 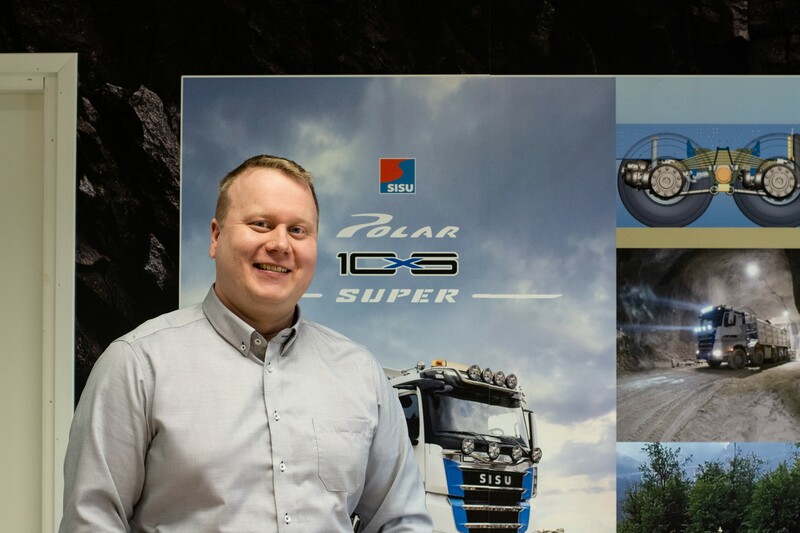 Sales of Sisu Polar logging trucks tripled during last year, and our market share in earth moving trucks continued growing” says Sisu Polar business director, Mr. Petri Kananen. Within 2018, Sisu Auto brought also heavy hybrid trucks to sales and manufacturing program. ”The great interest in the market, the ongoing discussions of the carbon neutral Europe, the orders received for Sisu Hybrid trucks, as well as the feedback from Customers, all strengthen our view of having chosen the right direction” Petri Kananen states. 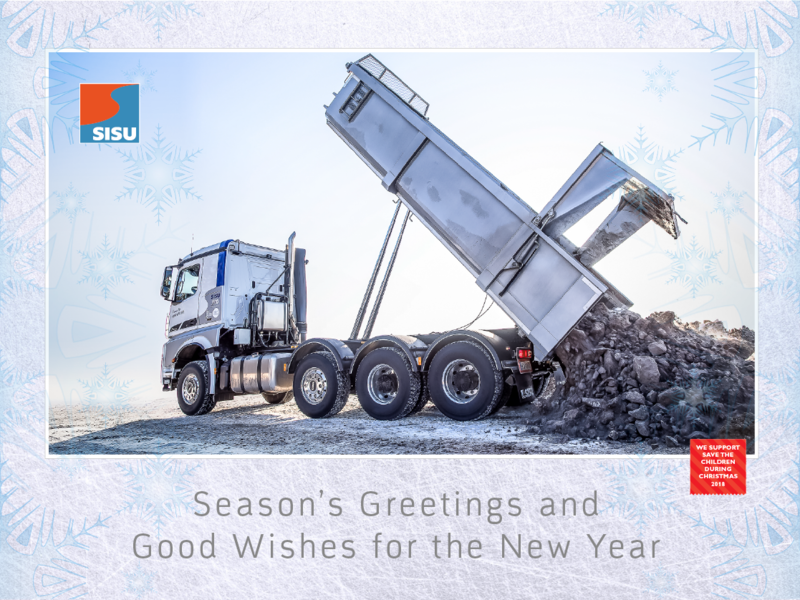 During this year, Sisu Auto shall keep on strengthening it’s position in logging trucks and in earth moving trucks. The strong position in domestic market enables focusing in development of the export sales, in which Sisu Auto has recently made significant approaches towards Russian markets, for instance. SISU Polar Super truck combines the proven technology of SISU Polar product range and the special requirements set by the industry. The improved performance necessary in the challenging mine environment is based on the purpose-built and robust frame and suspension structure, as well as the task-specific Fliegl push-off body, which keeps the centre of gravity low during the transport and unloading, and allows the operation in low building environment, too. Otherwise the truck utilises the same technology basis as the rest of the Sisu Polar range. Thereby, economy and serviceability of the truck in question are optimal. SISU Polar Super truck is very versatile and therefore suitable for different applications and end uses requiring that extra Productivity. Pay-loads of up to 50 tons in varying operational environment. This entry was posted in Polar Tuotteet on 21.11.2018 by Rasmus Rokka. 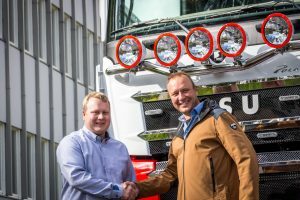 The latest demonstration of Sisu Auto’s Customer-oriented vehicle design is the new extremely tough Hauler truck developed together with Mr. Mikko Vuorsola of Vuorsola company. The technical max weights of this new SISU Polar Hauler truck are really standout – GVW of 72 tons, and GCW of 300 tons respectively. The new technical features of the truck include, for example, the axle weigh adjustment for the liftable 2nd front axle, the reinforced draw- and push points in rear and in front, as well as the additional cooler for the engine and for the fluid coupling. The additional cooling is necessary when operating with exceptionally heavy combination weights, in connection with low driving speeds. Hydraulics and electrics are in line with the requirements for the trailers used in special transports. SISU Polar Hauler comes with variable displacement hydraulics, which is used for special transport trailers’ suspension and steering, as well as operating the vehicles’ additional water pump and hydraulic fan. The new Hauler supplements the selection of factory-ready SISU heavy tractors to cover also the toughest and the most demanding special transport tasks. “This is our first truck which can be taken straight to work. We at Vuorsola are especially pleased also about the top-class quality of this new product”, says Mr. Mikko Vuorsola. The future of heavy duty trucks is presented in form of the first SISU Polar Hybrid timber truck at Power Truck Show 2018, Härmä, Finland at Sisu Auto´s stand U117 during 10.-11.8.2018. 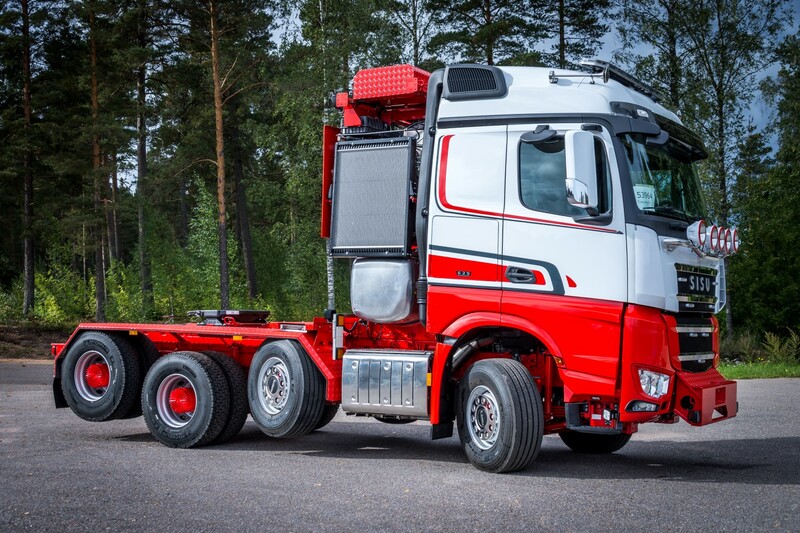 Later on, SISU Hybrid trucks are also shown at FinnMetko 2018 exhibition during 30.8.-1.9.2018 in Jämsä, Finland. Sales of SISU Polar Hybrid series has got a good start, and now the first SISU Hybrid trucks are already rolling out from the Sisu Auto’s production line. The time when the Customers can take the new technology to productive use, and benefit from the advantages of the Hybrid driveline, has come. 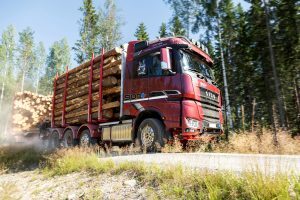 ”Every tenth of the SISU Polar Rock and SISU Polar Timber series trucks sold earlier this year have been chosen with the new Hybrid driveline solution. 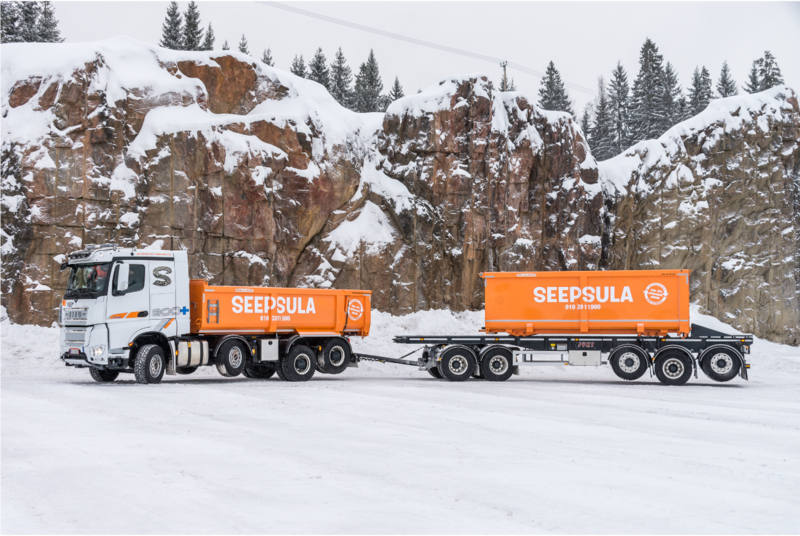 Thereby, these new powerful trucks shall be a common sight all around Finland during this autumn” says Sisu Auto’s Business Director, Mr. Petri Kananen. The first generation of SISU Hybrid driveline produces a total power of more than 600 kW in parallel with the diesel engine. Torque of more than 3000 Nm is available already from the idle speed of the diesel engine, and the maximum torque of 3600 Nm in range of 1000…1800 rpm respectively. This unprecedented torque range and maximum power supplied by the parallel hybrid system increase the usability of the truck. 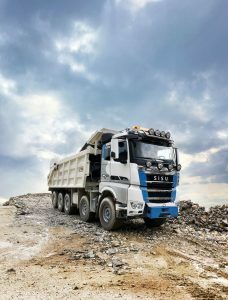 Storing and re-using the braking energy in accelerations and hill climbing improves significantly the fuel economy of the heavy vehicle, at the same time lowering the CO2 emissions. SISU Polar Hybrid differs from the conventional trucks with Sisu PowerControl control panel and with separate PowerTouch switch, which has been ergonomically placed in connection with the gear selector. Energy storage, the super capacitors, are located behind the cab. The energy storage does neither limit the cargo space, nor does it come in conflict with other components, or accessories. The hybrid driveline system enables, for example, start-offs without loading the clutch, as well as quick joggling and retarding functions. The hybrid system includes also an advanced start function, which can be used to start the diesel engine by the electric motor whilst the energy stored in super capacitors is in use. Sisu Auto’s substantial investment to the product development has created the high-quality SISU Polar truck series. Now, with the newly available Hybrid driveline solution, technology of SISU Polar series becomes a real standout. Patents, applied for during the development phase of the Hybrid driveline solution to protect the new technology inventions, also tell about the innovativeness of the Sisu Auto’s R&D team. ”Alternative power lines are the future of the transport industry. Sisu Auto has now made alternative power lines available already for both, SISU Polar series of trucks, as well as for SISU special vehicles”, says Sisu Auto’s Product Manager, Mr. Teemu Puustinen. 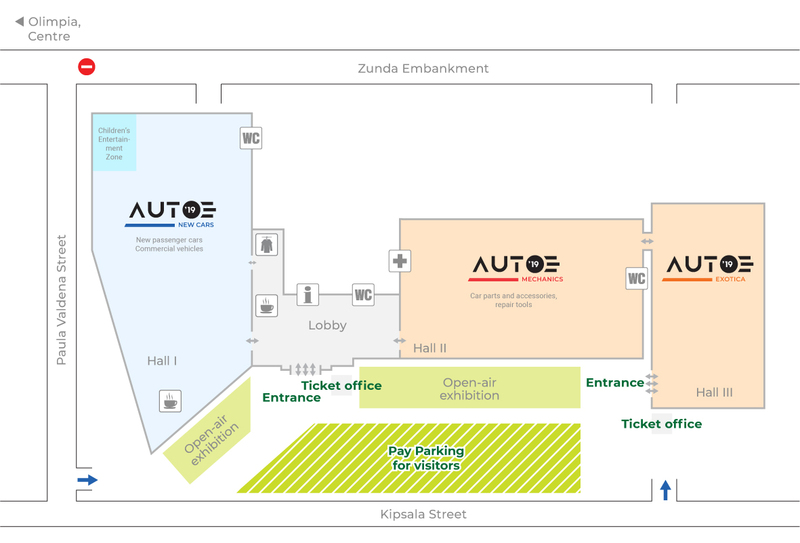 Oy Sisu Auto Ab welcomes everyone to the exhibitions as mentioned above to see the future of heavy duty trucks. 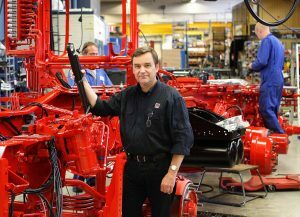 At Sisu Auto’s stand also the world’s fastest timber transport entrepreneur, Mr. Jari Halinen, shall tell more about his experiences of the totally new feeling of Power and Torque. Sisu Auto is a long standing supplier of armoured military trucks, and special vehicles. In early 1980’s Sisu Auto introduced an armoured personnel carrier, SISU Pasi, which still today is in operational use with numerous forces. In spite of the robust design and operational efficiency, the aging Pasi fleets are slowly reaching the end of their planned life-cycle. 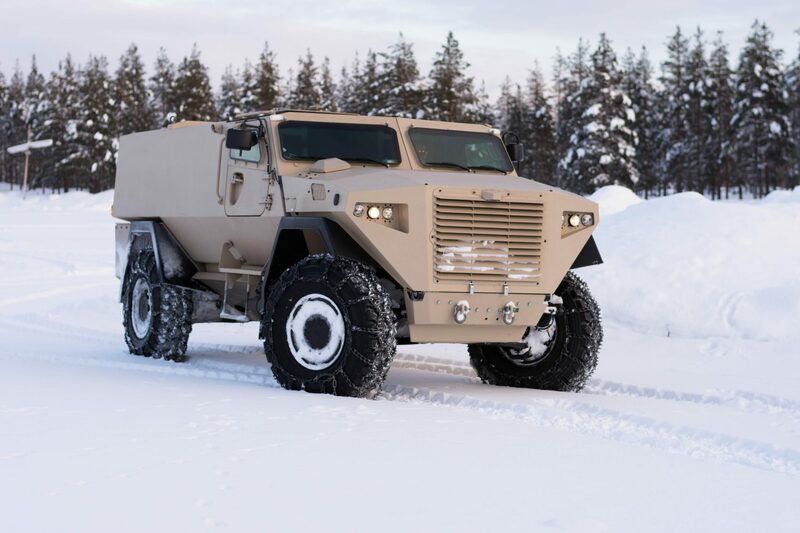 As an answer, Sisu Auto introduces a modern, modular armoured vehicle with performance exceeding the standard set by the predecessors, SISU GTP. The vehicle is equipped with independent suspension system and differential locks in each wheel, providing SISU GTP with mobility characteristics that are necessary beyond the paved roads, in severe off-road terrain, whatever the operational environment might be. Payload of the vehicle in off-road conditions is, subject to the chosen protection level, up to 4500 kg. SISU GTP covers a wide variety of operational roles. Separate Backbone and Crew Body structures result in unmatched versatility, enabling numerous variants for different operational uses, as well as easy maintainability even in field conditions. Interchangeable components and maintainability are also important factors in Life Cycle Support economy. Sisu Auto has gained expertise of armouring solutions during the long history of armoured vehicle deliveries intended for the harshest operational duties. 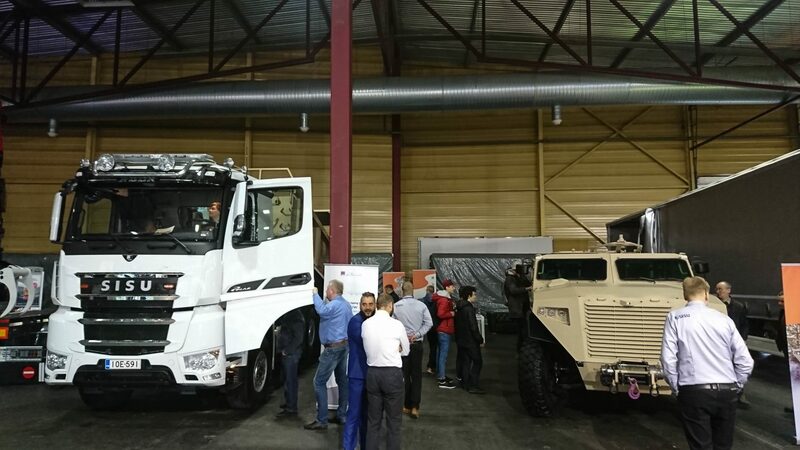 In addition to the vast number of SISU Pasi vehicles, armoured SISU 8×8 trucks are also field proven, serving currently in UN led operation in Lebanon, and already earlier in NATO led operation in Afghanistan. The crew survivability of SISU GTP is based on this expertise and knowledge. Modular vehicle structure allows operational-specific protection solutions: Protection level can be increased with an additional add-on kit or replacement components as necessary. 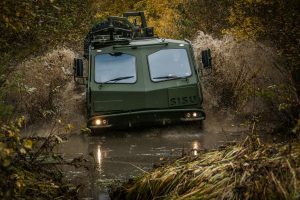 With the new SISU GTP, Sisu Auto is ready to respond when Mobility, Versatility and Survivability are operational requirements, and suitable vehicle solution is called for.